If you’ve been in the position to give a gift lately (ex. birthday, baby shower, wedding), you probably know just how pricy all of the gift “trimmings” can be. Wrapping paper, tissue paper, boxes, fancy ribbons and bows, etc. can all add up fast. When you consider the price of the gift itself and then all of this extra stuff you’re wallet probably starts to ache. However, what’s the alternative? Should you just thrust an unwrapped, unadorned gift at someone with a “here you go”? Not ideal. Should you continue to fork out your hard earned money for stuff that will only be admired briefly before landing in the nearest recycling bin? Again, not ideal. What other options do you have? Well, you could make your own gift bows and accessories. I know, I know, you’re super busy and the thought of adding one more item to your already lengthy to-do list probably makes you queasy, but the time it takes to make your own gift bows and gift accessories is pretty minimal. Plus you get to save some money and that’s always a good thing. If you need another reason to make your own gift bows consider that spending a little time crafting and exercising your creativity might help you unwind after a long day. 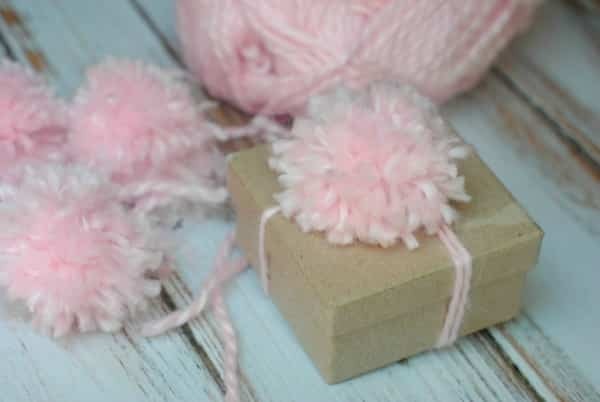 To get you started, I’m going to demonstrate how to make your own gift bows with just 3 “ingredients” and in only 4 steps. For more easy and fun DIY ideas follow Freebie Finding Mom’s DIY Fun Pinterest board. 1. 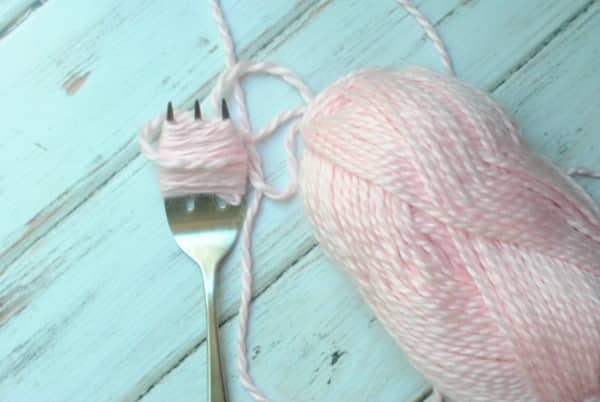 Wrap the yarn around the serving fork tines 50 times. 2. 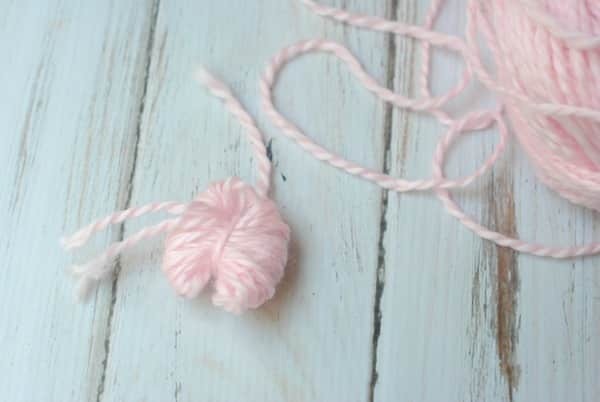 Cut a 3-4” piece of yarn and slip through the bottom of the serving fork tine and tie once squeezing tightly and knotting. 3. 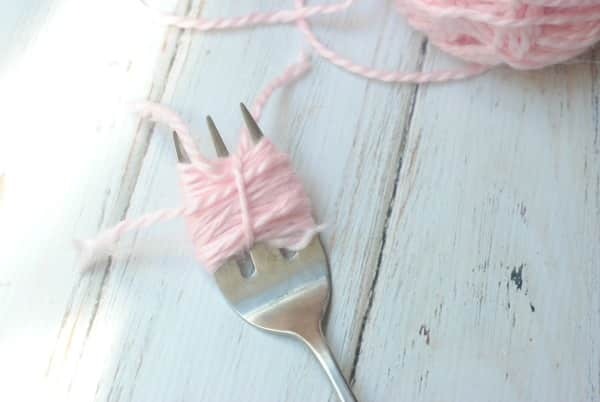 Remove the yarn puff from the fork tines and using the scissors, snip the loops. 4. 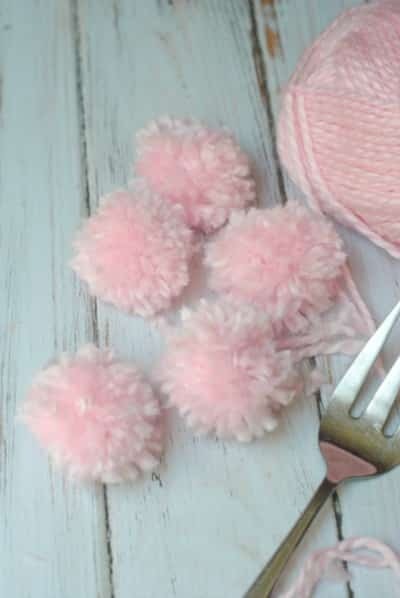 Fluff out and trim the yarn as needed to form a cute fluffy bow. Repeat with the other yarn bows. See, it doesn’t take much to make your own gift bows. Hopefully, this inspires you to try some other simple DIY crafts that can help you save money, exercise your creativity, and relax. If you try this out and make your own gift bows, please share your experience in the comments! Happy crafting!